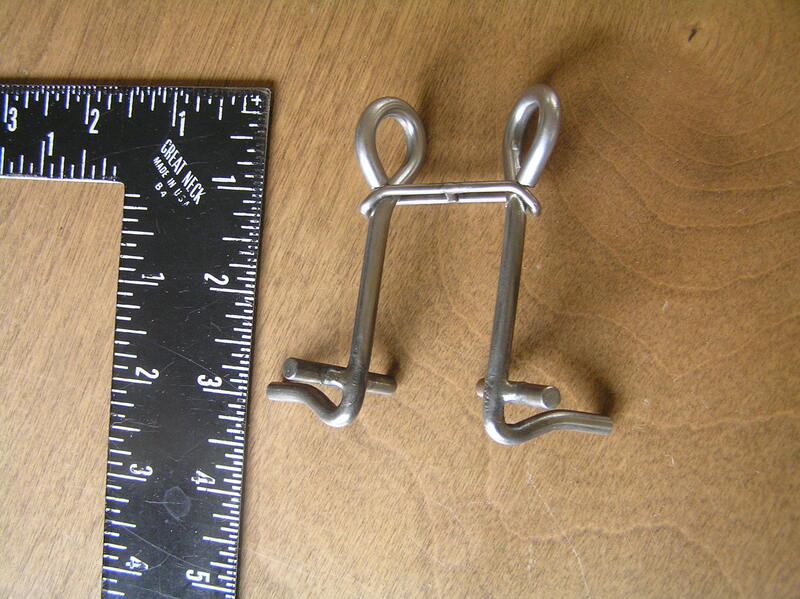 TraqJunk is devoted to making stuff for track junkies like us -- useful things which aren't easily available. As of September 20, 2014 we have closed TraqJunk operations. The new Porsche 991-based GT3 does not have front brakes which are compatible with our main product -- the GT3 Brake Tool, so this seems like a good time to close our doors. If you want to contact us, you still can do so via the CONTACT US link. We want to thank our customers over the last years -- we have appreciated helping them. Click to find out if the Tool will work on my car? Just used my new brake tool for the first time. My very first thought was, "Why didn't I buy this a year ago". 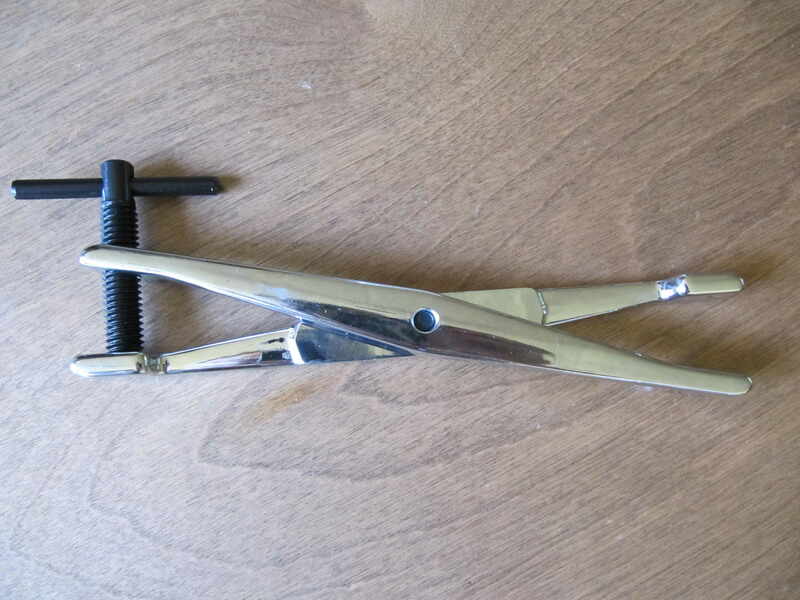 This tool takes the pain out of dealing with the front caliper spring. Definitely glad I ordered one. I think it's cool how you ever figured it out. Sure makes working on those PITA springs a joy! See what other users are saying! The tool in the spring. Brake Pad Spreader. 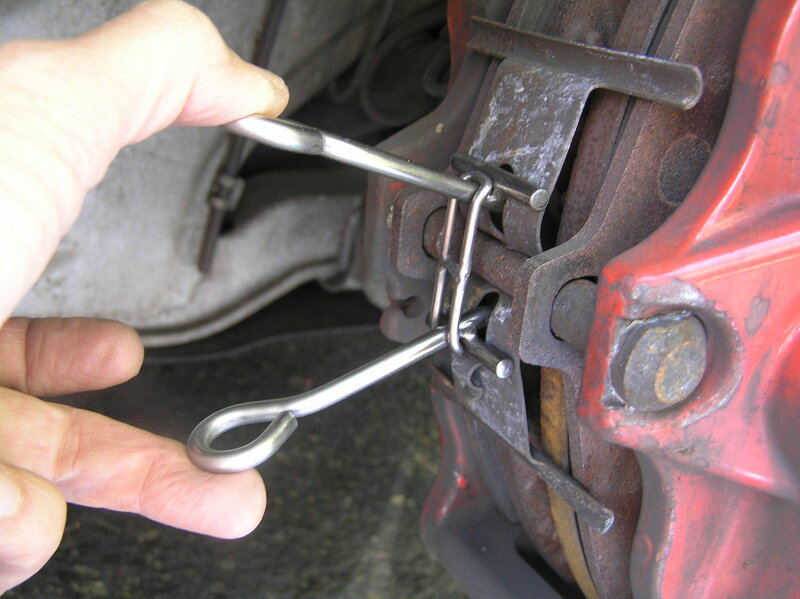 This is an essential tool for anyone doing brake pad replacement. 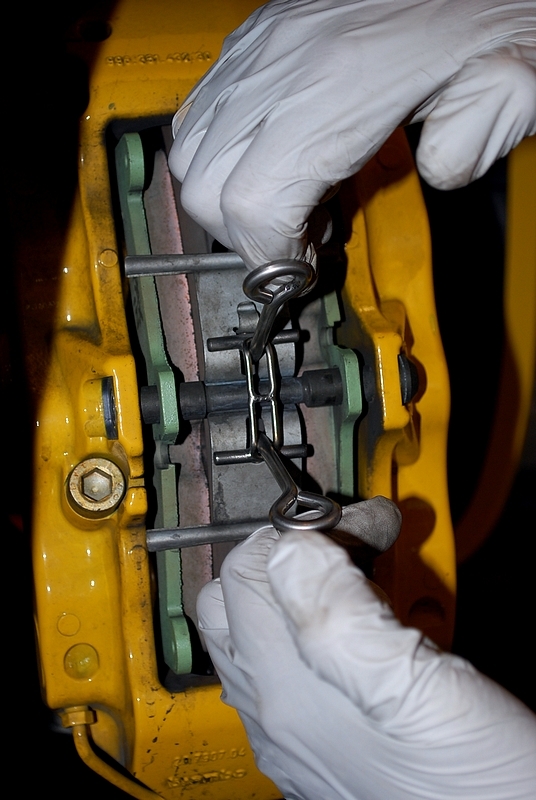 Brake pistons put tremendous pressure on the pads which makes it very difficult to remove the pads. With the Brake Pad Spreader the pistons retract and it is quick and easy to remove and replace the pads. Photos of the Pad Spreader in action. Brake Pad Spreader for PCCB systems. The PCCB system requires a wider jaw for the pad spreader due to the extra width of the rotor, so we designed an add-on adapter to the standard Brake Pad Spreader. 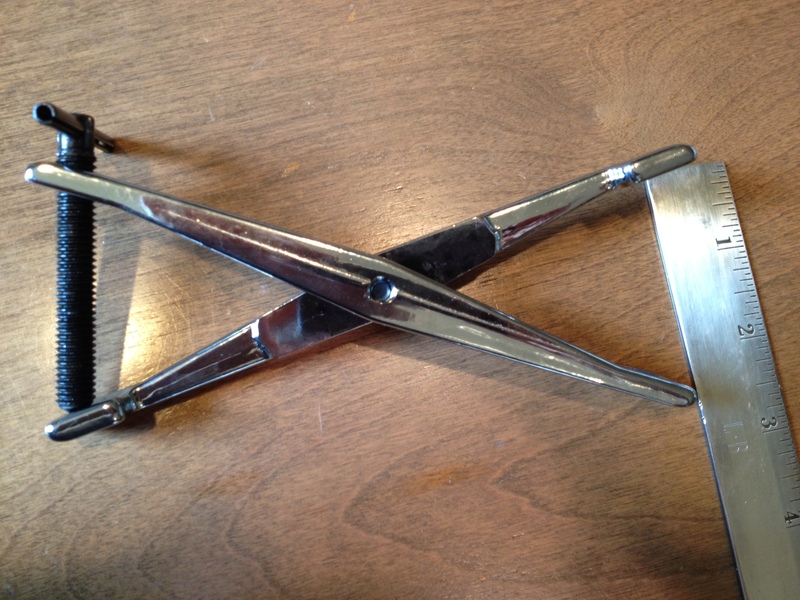 The standard TraqJunk Pad Spreader opens to a hair under 1 3/4 inches. The Pad Spreader for PCCB opens to 2 1/2 inches, more than enough for even those monumental PCCB brake rotors. Customers have told us that certain other models -- like the 964 -- need the larger Spreader. 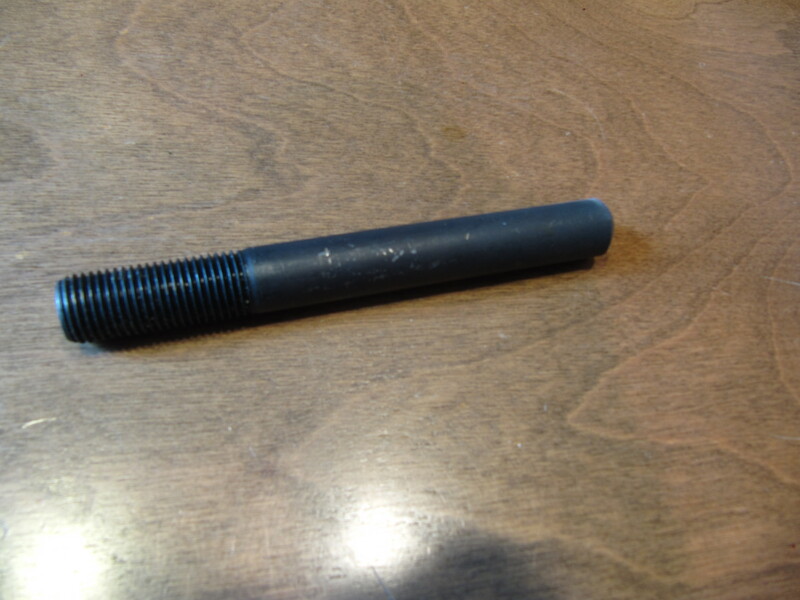 Tire Mounting Pin. Porsche used to supply these with the car but since they discontinued the spare tire, they no longer do. So if you change tires, and those of us who do track duty sure do change a lot of tires, it is truly a pain to mount a tire onto the hub without the pin. 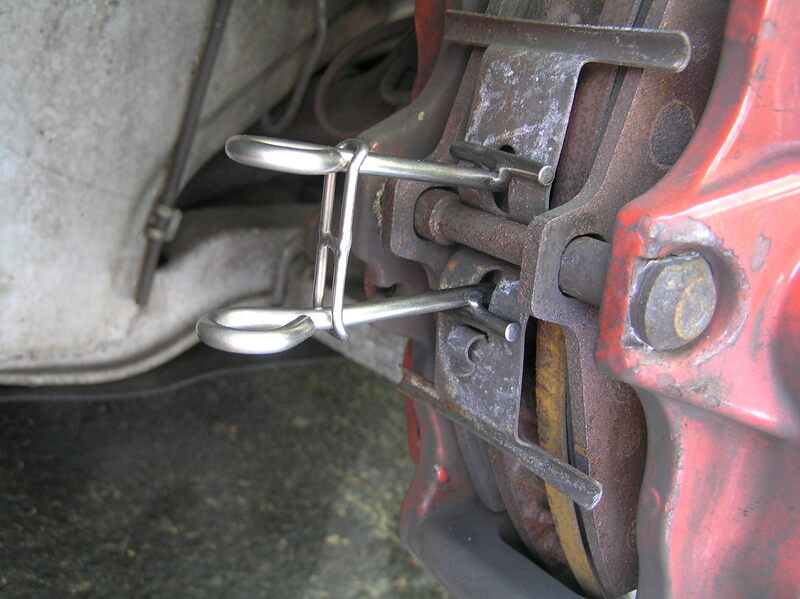 The TraqJunk Tire Mounting Pin to the rescue! Shipping&Handling Policy: Seatbelt buckle or Tire Mounting Pin -- no cost; Brake Tool, Brake Pad Spreaders -- $7.50 (in USA/Canada) regardless of quantity. Shipping cost outside USA/Canada on a case-by-case basis. Money-back guarantee for brake Tool: Use the brake Tool for up to 2 months after purchase, and if you don't like it, contact us for an RMA number, explain the nature of your dissatisfaction and we'll refund your money promptly.